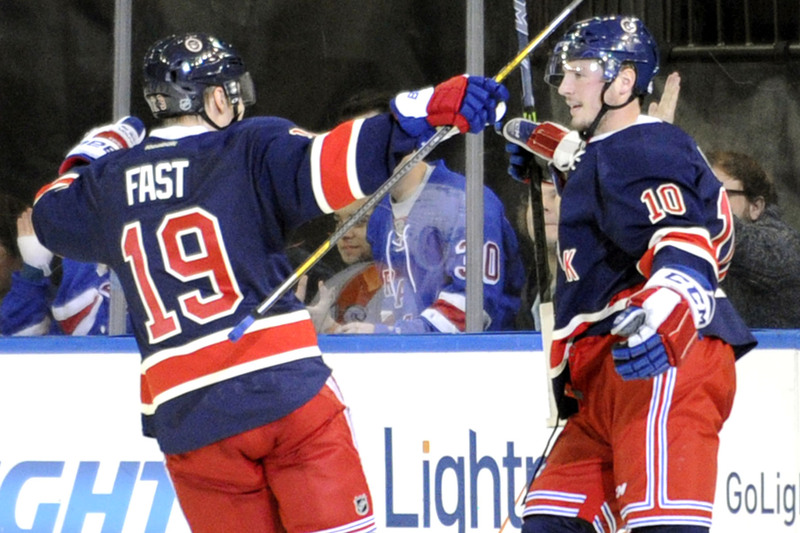 Which Rangers rookie/youngster had the biggest impact this season? JT Miller and Jesper Fast were two of the bright spots in the Rangers’ lineup, showcasing the future of the organization. Photo courtesy of AP. This past season, the Rangers saw the growth and emergence of many of their young prospects, with key contributions coming from rookies and second year players. While it’s always great to have experienced players on the roster, whether it be veterans or skilled guys with a few years under their belts, it is extremely important to have youth infused in the lineup, especially one’s that contribute. There were two rookies on the Rangers’ roster, and both of them were a huge part of the team’s success in both the regular season and the playoffs. Kevin Hayes and Jesper Fast were those two rookies, fulfilling two very different roles for the team. And while JT Miller technically was not a rookie, but this was his first full season with the Rangers, and he certainly started to blossom into the player that the Rangers thought he would be when taking him 15th overall in the 2011 NHL draft. Kevin Hayes, JT Miller and Jesper Fast all had important roles on the team, showing glimpses of the bright future that all three players have. 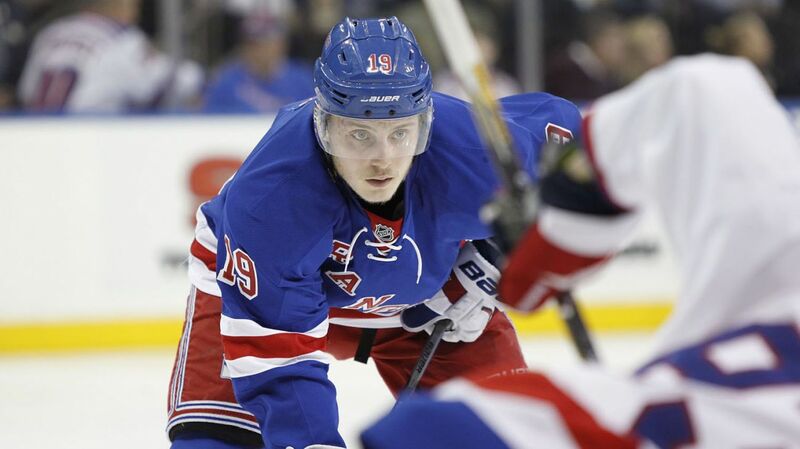 Fast, 23, was the Rangers’ sixth round pick in 2010, taken out of the Swedish league at the age of 18. In his second year as a Ranger, he seems to have really made his mark, and solidified his spot in the Rangers lineup. As a bottom-six forward, there is not many players more reliable on both sides of the ice than Fast. He had only five giveaways in 58 regular season games, plays excellent defense, kills penalties, and uses his speed to create opportunities off of the rush. Fast and Dominic Moore really work well together. Moore is also a very reliable forward, winning faceoffs, and showcasing some offensive skills when his line gets the puck into the other team’s zone. Fast complements him will, with a lot of the same talent and abilities that Moore has. When Fast was asked to play in a bigger role, like as a top-six forward, he really shined. Against the Capitals, Alain VIgneault decided to put Fast with Derek Stepan and Chris Kreider on the second line. That trio quickly developed into one of the most dangerous, and most effective lines on the entire team. Fast’ uses his 6’0”, 185 pound frame to win puck battles, and skates with energy, matching Kreider and fitting into the Ranger’s style of game perfectly. Fast finished the regular season with six goals and eight assists, providing a nice scoring touch on the fourth line, and contributing in a bigger role when needed. He stepped up his game in the playoffs, scoring a total of three goals and three assists, and playing strong defense. His three goals placed him at fifth amongst all 30 rookies in the playoffs, and his six points were sixth amongst all rookies. Not too shabby. Fast is an RFA this offseason and the Rangers should sign him to an affordable contract for at least three years. In the offseason, Glen Sather was able to pry Kevin Hayes from the Chicago Blackhawks organization, signing him to a two-way contract before the season started. Hayes was a 2010 draft pick by Chicago, but chose not to sign with them, choosing the Rangers instead. In his first year in the NHL, Hayes flourished, transitioning flawlessly from Boston College to the New York Rangers, without any time spent in the AHL or elsewhere. Hayes tallied 17 goals and 28 assists in his 79 regular season games, totaling 45 points. Those numbers are really impressive for a rookie, and that would be a solid season for just about anyone in the NHL. Just like Fast, Hayes is a very good two-way player. He was a bit slow to start the season, admittedly saying that he was focusing too much on not making any mistakes, which disrupted what he could do on offense. As the season progressed, near the winter months, Hayes exploded onto the scene, eventually leading his team in points over the last few months of the season. Focusing on not making mistakes did have its benefits, as Hayes developed into a solid defensive player. Being 6-foot-5, he has a very large reach, and utilizes that to interrupt shots and passes, working the puck away from opposition. He’s responsible, kills penalties occasionally, and isn’t a detriment when the team is back in their own zone. 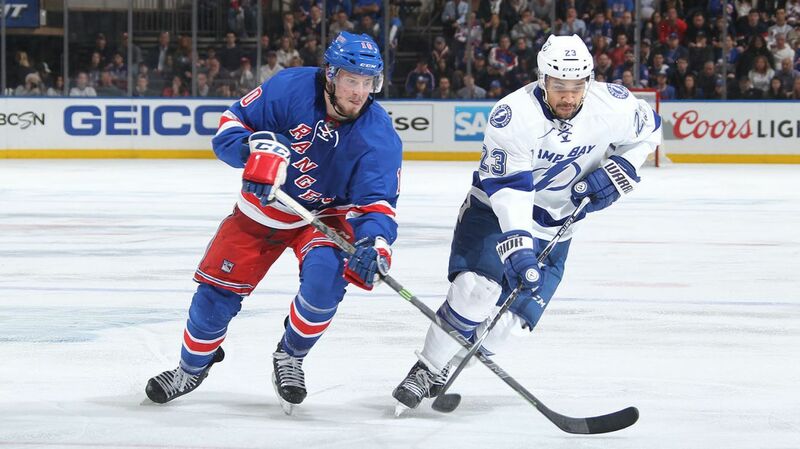 On offense, Hayes may just be the most creative player on the ice not named Mats Zuccarello. His vision is very good, spotting open teammates across the ice and seamlessly threading the pass through countless defenders. When he does decide to shoot, he boasts and above-average wrist shot, and can use his size to muscle his way to the front of the net. His play earned him some time on the top line, both in the regular season and the playoffs. Hayes transitioned from wing to center very well, and seems to be more comfortable and more involved at the center position. He has a future anchoring the middle of the third line, but could also grow to flourish as a top six winger. Hayes will be a very good player on this team for quite some time. Although not a rookie, this was Miller’s first full season in the NHL, finally able to stick on the Rangers roster. After being selected in the first round in the 2011 draft, he made some extended appearances with the Rangers, but always wound up being sent back down. It was frustrating, because you could see the talent that he had, but some mistakes would stand out as he struggled to adjust to the faster-paced game. Early in the season, it took a while for Miller to gain the trust of Alain Vigneault. If he made one or two big mistakes in a game, he would immediately be stapled to the bench. The tough love approach Vigneault took would up working, and Miller became more disciplined, smarter, and quicker with his decisions. Towards the end of the season, and in the playoffs, Miller wound up playing on the first line, and became a sparkplug type of player, throwing the body and bringing an element of energy to the team. What makes Miller so great for this team is his versatility. When he first started with the Rangers, he was playing mostly at center. It seemed like the increased responsibility of that role was a bit too much for him, and took Miller out of his element. When Vigneault stuck him on the wing, especially the right wing on the third line, Miller began to fit in, play better, and produce. 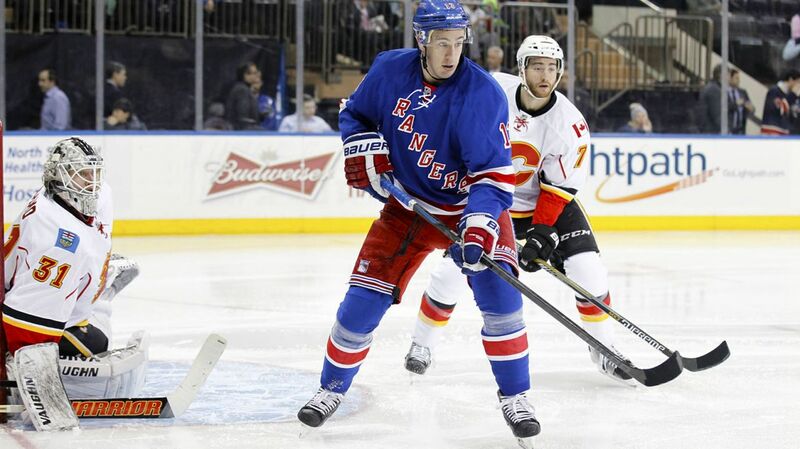 As he continued to grow more comfortable, and stay in the lineup, Vigneault was able to move him anywhere on the ice. Now, Miller can play both wings and center effectively, making him one of the more valuable players on the team. In 58 regular season games, Miller posted a very respectable 23 points (10-13-23), splitting his time across all four of the forward lines. In the playoffs, he tallied an additional eight points (1-7-8), finishing on the top line alongside Rick Nash and Derick Brassard. The one goal wasn’t indicative of how well he played, as Miller seemed to hit the crossbar or get robbed by a goalie more than anyone else. I think Miller can grow to be a Brandon Dubinsky type of player. A physical forward that isn’t afraid to lay a big hit, but can then hurry up the ice and contribute offensively. I think Miller could develop into a consistent 40-50 point winger/center. He’s an RFA this offseason and the Rangers need to lock him up. The future is bright for the Rangers, with young guys like Fast, Hayes and Miller all seemingly here for the foreseeable future, and continuing to develop with each passing season. And with players like Oscar Lindberg, Brady Skjei, Adam Tambellini and others waiting in the wings, there is a lot to look forward to. Posted on June 15, 2015, in In the Crease and tagged Alain Vigneault, Blueshirt Banter, Calder Cup, Calder Trophy, Hockey, Ice Hockey, Jesper Fast, Jesper Fast free agent, JT Miller, JT Miller free agent, Kevin Hayes, Kevin Hayes Hobey Baker Award, Madison Square Garden, MSG, New York Rangers, New York Rangers rookie, NY Rangers, NYR, Rangers Nation. Bookmark the permalink. Leave a comment.